Opaeka'a Falls is located on a north branch of the Wailua River, Opaeka'a Falls itself is not accessible by road or foot. 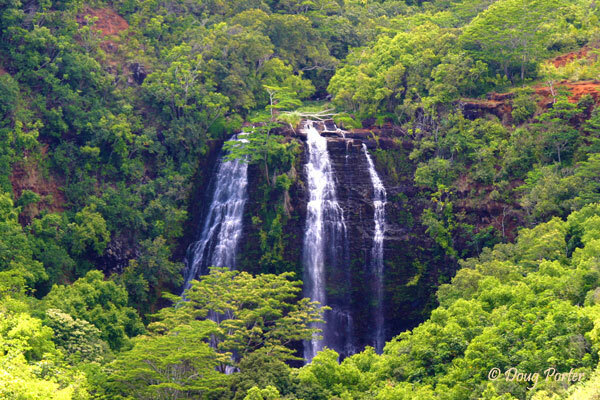 Named for rolling shrimp that used to be present in the water, the falls and can easily be seen from an overlook off of Kuamo'o Road. Walk across the road from the lookout point and up the hill for another great vantage point.